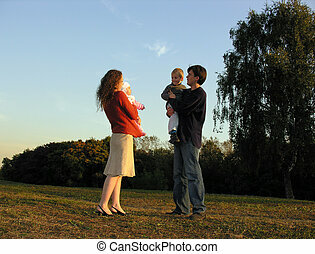 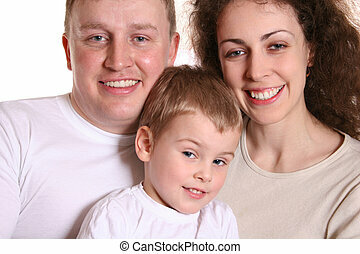 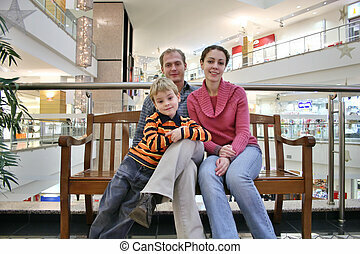 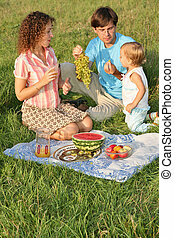 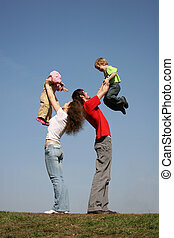 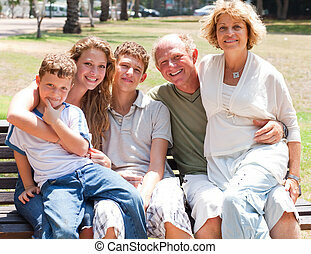 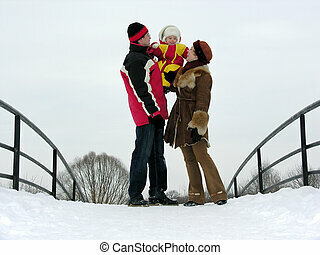 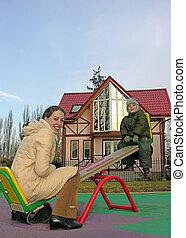 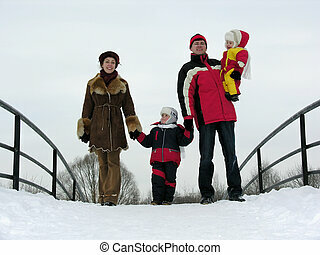 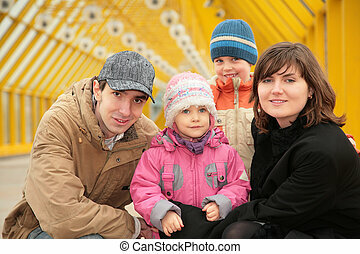 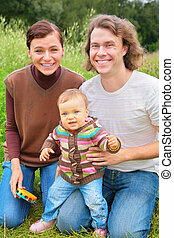 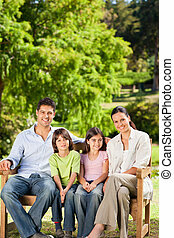 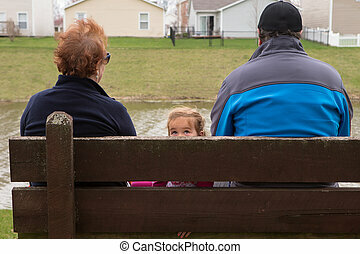 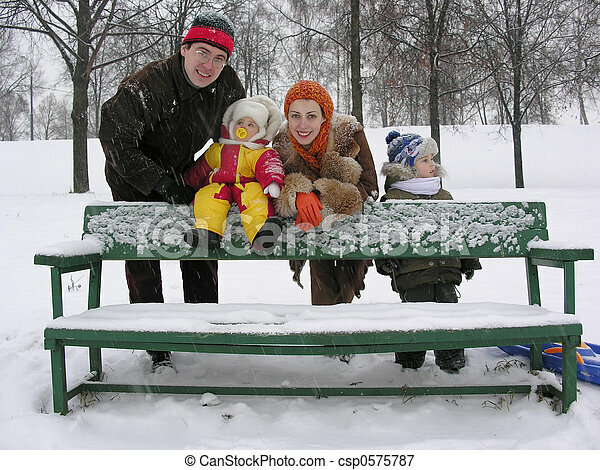 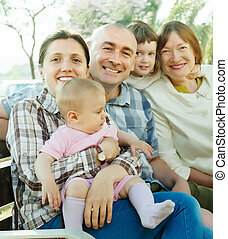 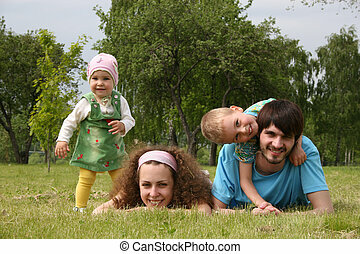 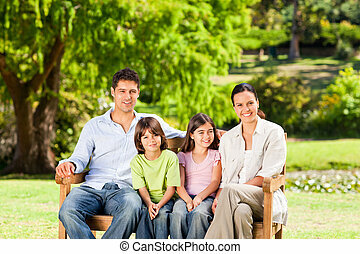 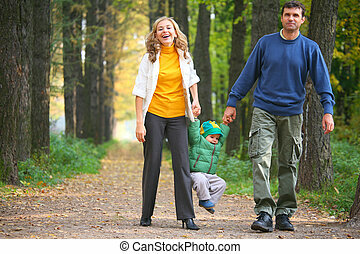 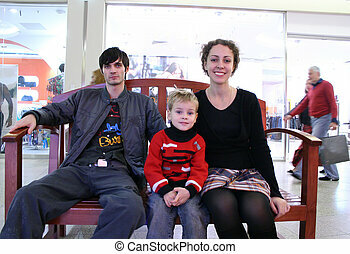 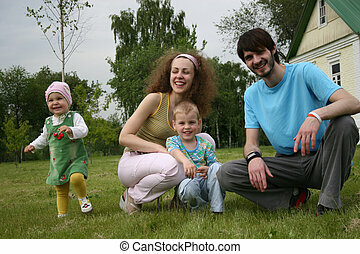 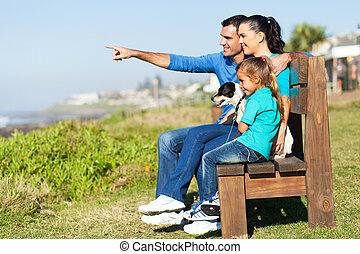 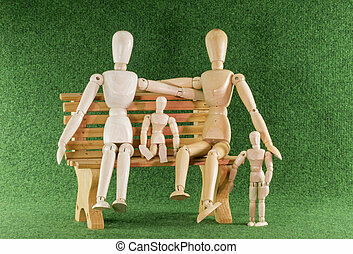 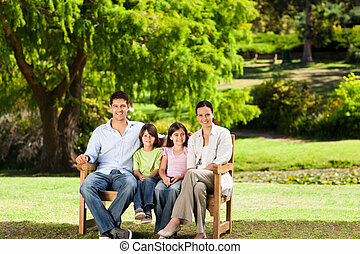 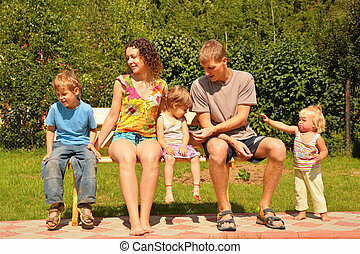 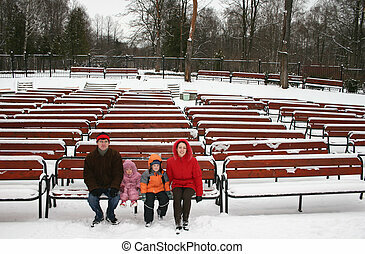 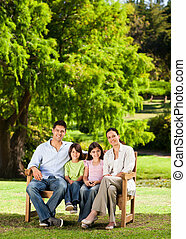 Small Family Sitting on a Wooden Bench at the Park Looking Different Directions. 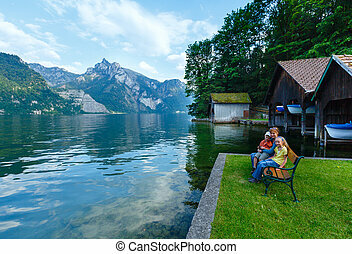 Traunsee summer lake and family on bench (Traunkirchen, Austria). 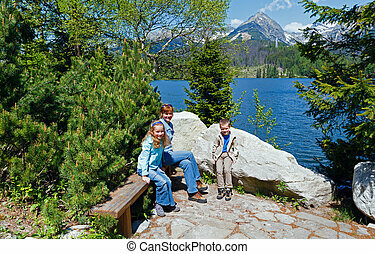 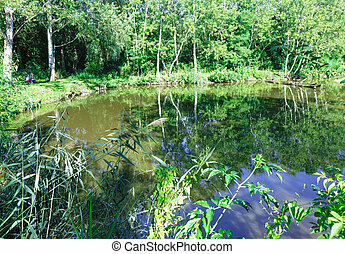 Summer lake with trees reflection on water surface (and family on bench). 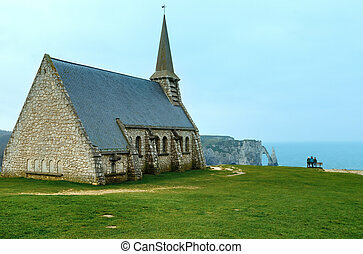 Chapel of Notre-Dame de la Garde (Etretat, Normandy, France) and family on bench. 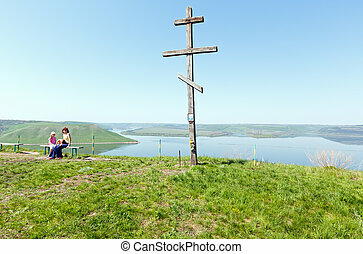 Spring view.